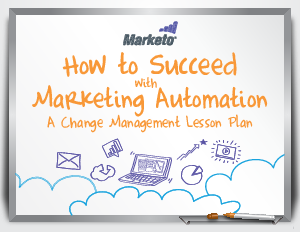 Implementing a marketing automation solution is just the beginning to achieving marketing greatness. You need to make sure your people, process, and technology are aligned to get the fastest speed-to-results. But you can't map bad processes to new technology, you need complete user adoption in order to be successful, and you need to proactively grow your solution as marketing continues to evolve. It's like buying a Ferrari and keeping it in the garage. You need to get out, drive it around, and get the full experience! It is the same philosophy with marketing automation. You need to be proactive an dimplement th eright processes in order to maximize the full potential of your technology solutions. Fortunately, there are many techniques you can use in order to enable your teams and identify the skill sneeded to see significant success. Download this resource to learn more.